Despite Lake Geneva’s longstanding reputation as one of the most popular road-trip destinations from Chicago and Milwaukee, the bustling resort town continues to attract hordes of tourists who never actually leave the main downtown area. That’s a shame, of course, because this famous summer retreat continues to offer year-round surprises and off-the-beaten-path experiences for those willing to seek out a more authentic local experience. Here’s all the stuff you absolutely have to do while you’re in Lake Geneva, whatever the time of year. Unlike most vacation destinations on the lake, you don’t have to be a millionaire to enjoy gorgeous lakefront property views. 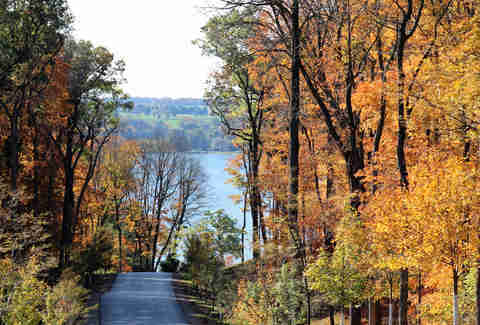 One of the coolest and most unique attractions in Lake Geneva is the 26-mile Lake Geneva Shore Path, an old Native American walking trail that cuts right through the front yards of private waterfront properties and extends along the entire length of the lake. While a bit steep in some parts, the mostly flat hike offers A-plus views of both the lake and the beautiful homes that line its shore. Watch boats cruise along the water, follow birds as they hop from tree to tree, and pass by unique lakeside properties along the way like a college on the lake (yes, for real) and a camp for economically disadvantaged urban youth. 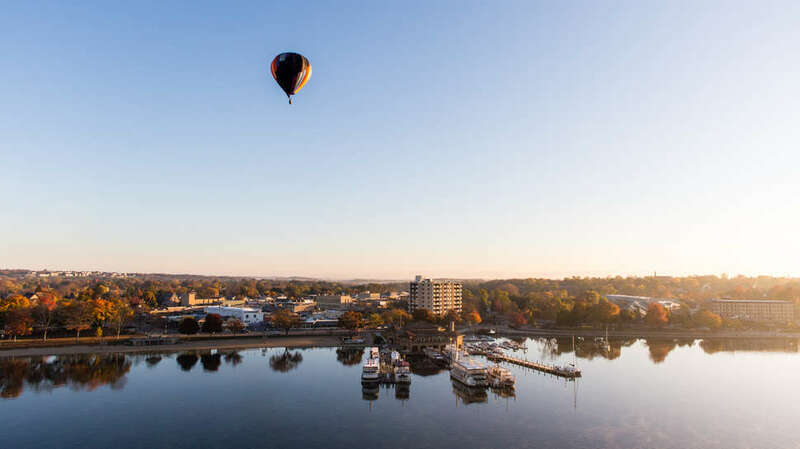 While most of the action takes place on the east side of the lake in the town of Lake Geneva, no trip to area is complete without checking out the small towns of Williams Bay and Fontana as you cruise west from town along the lake. Highway 50 is the main drag, but it’s best to get off the highway and onto local roads like South Lake Shore Drive to see the area in its full beauty. The road is slower, giving you more time to take in the spectacular scenery along the way -- because, remember, you’re on vacation. While you can get a nice view of many mansions owned by titans of Chicago business on the Lake Geneva Shore Path, it’s even more fun to actually stay in some of the mansions. 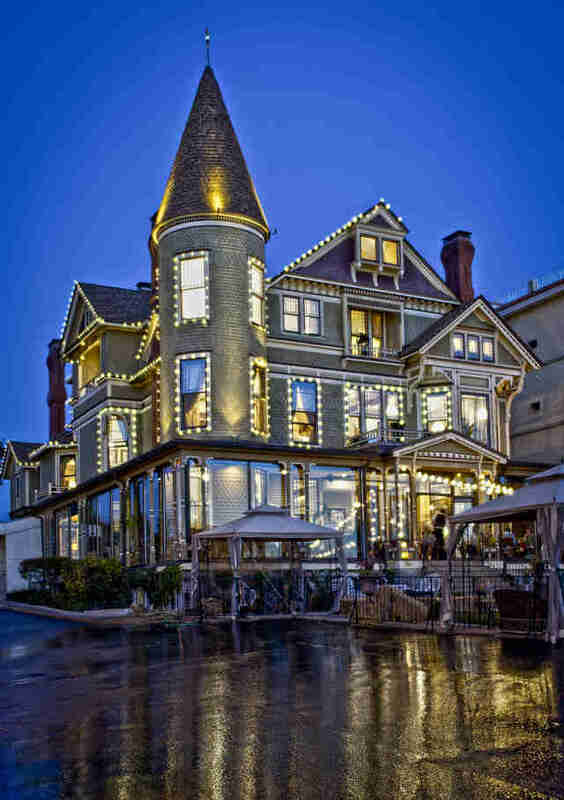 Built in 1885, Baker House is a gorgeous lakefront mansion perfect for sipping a drink on the romantic front patio or inside the Gilded Age-style cocktail lounge, with employees dressed in period-accurate attire and plush B&B-style accommodations. Meanwhile, Maxwell Mansion (built in 1856) offers romantic rooms in “urBarn” (urban/barn) style with carriage house and stable suites, including a couple rooms with “peek-a-boo” steam showers for two (wink, wink). This being Wisconsin, drinking is a big part of the experience here, and while fancy cocktail lounges are all well and good, to get a true sense of a place one must experience its dive bars. 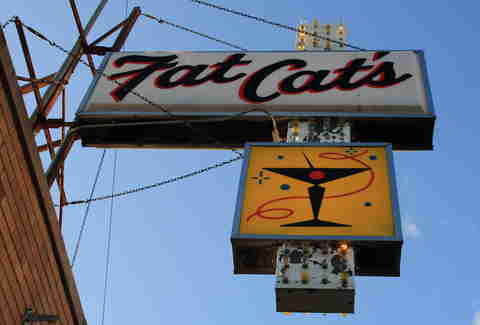 Fat Cat's is a fun spot in downtown Lake Geneva for cheap booze and friendly conversation with locals, while Owl Tavern is a more out-of-the-way hidden gem for smoked pulled pork and BBQ in a lodge-style setting. Meanwhile, head to nearby Lake Como to experience true local dives like Freddie’s West End (famous for their Friday fish fry) and DJ’s in the Drink, where live bands rock a hilarious locals scene. Or, try Thumbs Up in downtown Lake Geneva for live music on Friday nights and plenty of tomfoolery. 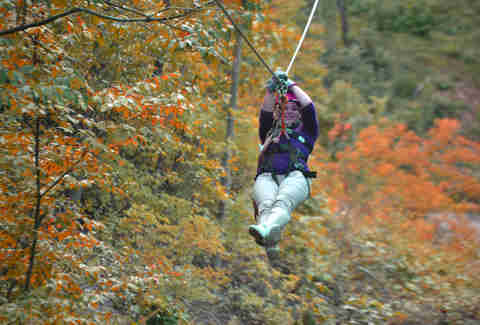 Lake Geneva Canopy Tours not only offers crazy zipline adventures through the trees, but also 9 miles of hiking and biking trails plus snowshoeing adventures in the winter. Test your mettle on the 16-obstacle high ropes before finishing off the day ziplining through a one-of-a-kind double helix “stairway” that wraps around a giant ash tree. The 100-acre forest offers views of Lake Como and the surrounding countryside, plus a 1,200-foot racing zipline for those who still feel the need for speed. Lake Geneva may be the biggest lake in the area, but it isn’t the only game in town. 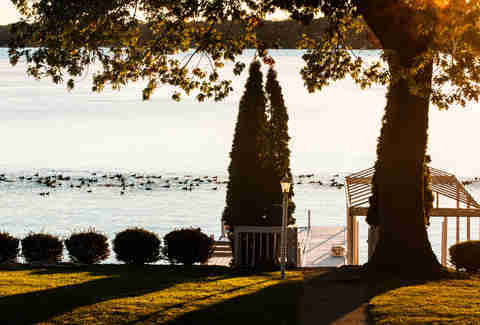 In addition to the aforementioned Lake Como, Delavan is a laid-back town about 20 minutes northwest of Lake Geneva offering lakeside lodging at the charming Lake Lawn Resort, and a peaceful waterside arboretum for seclusion in nature. But when you’re looking to get back to commiserating with a colorful cast of characters, Delavan more than delivers with two of the best dive bars in the state including the heavy-drinking Hogan’s Goat and the Inn Between -- the latter of which offers lakeside docking for your boat, an outdoor tiki bar, and the locally-famous/batshit crazy “Ice Ball” softball tournament on the lake when it freezes in winter. It’s great to be active on vacation, but sometimes it’s even more fun to do nothing at all. 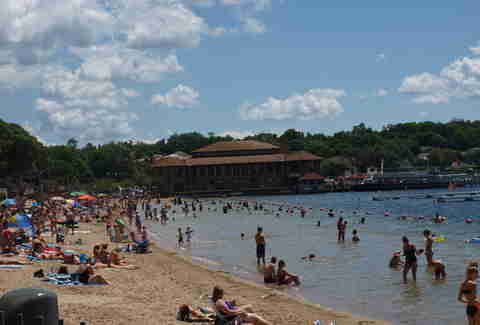 If you’re here for summer, Lake Geneva offers plenty of options for just throwing down a towel and kicking back like a baller at local beaches and state parks like the in-town Riviera Beach and the more off-the-beaten-path Big Foot Beach State Park, which occupies 900 feet of shoreline south of town with a 100-site campground and plenty of nature trails to wander. You can also kick up your heels at the small but picturesque Williams Bay Beach or the Village of Fontana Beach, the latter of which is helpfully located within stumbling distance of notorious local hangout Chuck’s. Instead of dinner and a movie, mix up your date night routine with a trip to the Tristan Crist Magic Theatre, voted the No. 1 “Thing to Do” on Trip Advisor. And while anyone familiar with Will Arnett’s character Gob Bluth from Arrested Development knows the magic jokes practically write themselves, this show is no laughing matter. With Vegas-quality acts featuring levitation and close-up magic, this 60-minute show will change the way you think about tricks -- er, illusions -- and provide you with a fun night out, to boot. Visiting Lake Geneva without actually getting on the lake is like visiting Vegas and not gambling. 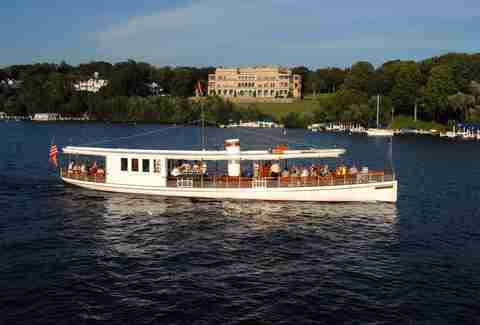 Lake Geneva Cruise Line offers a variety of ways to experience the lake, including a two-hour lake tour with narration of the lakefront homes along the way (and, of course, booze), plus a wholly unique US Mailboat Tour that lets you tag along as they deliver mail to homes on the lake in one of the last locations in the country where mail is delivered by boat. If you’d rather pilot your own vessel, rent a pontoon from a local rental company (like Elmers) and be on your merry way. Not all wineries offer the are the same, and Studio Winery is a prime example. Instead of your standard stuffy winery packed with wine snobs and fields of grapes, this urban winery pops up in an old warehouse space with its own in-studio music room hosting live shows and painting parties hosted by the husband-musician/wife-artist owners. While northern Michigan may be known as the premier wine-making region in the Midwest, this small winery that names its wines after musicians and doesn’t take itself too seriously offers a refreshing change of pace. Not only is the world-class Abbey Resort one of the nicest places to stay in Lake Geneva (not to mention the entire state of Wisconsin), it’s also one of the premier destinations for “treating yo-self” to full-on pampering with a relaxing spa day. Choose from spa treatments that start as simple as basic massages and include everything from “seasonal scrubs” to “body coffee wraps” with green coffee extract, caffeine, and sea algae designed to release toxins and activate fat dissolution. You could also, like, exercise, but where’s the fun in that? A simple stroll through downtown Lake Geneva’s charming business district is a great way to spend the day, hopping from local shops and restaurants on your own two feet and going whichever direction you damn well please thank you very much. For a more wind-in-your-face-style experience, though, rent scooters to explore the wider terrain with the help of Scoot Jockeys -- which provides both guided tours of the area or just provide you with maps of their favorite scooter-friendly spots and turn you loose on the town. 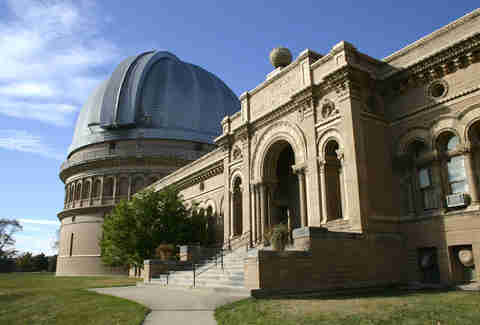 While nature lovers and bar crawlers will find plenty to like in Lake Geneva, science nerds can also feel the love at the University of Chicago-operated Yerkes Observatory in Williams Bay. Founded in 1897 and frequented by everyone from Albert Einstein to the inventor of the Hubble Telescope, the site is home to a massive refracting telescope and is open for public tours on Saturdays. With the site situated on 77 acres of parkland selected for its dark surroundings, the area is also ideal for stargazing on a warm summer night with a bottle of wine and your latest Tinder crush.